Often when considered Honor and respect along with the words Christian and Husband this does not bring up pleasant thoughts. When considering Honor and respect, young women will say “are you wanting to be a stepping stone for some one?” Even among the young Christian women. Young Women today are led to believe they will lose something of themselves if the practice Honor and respect of your husband. Let’s put this in perspective. Let’s take to Husband out of the equation for the moment. If I tell you I honor visa there is no negative connotation to tis statement for any one unless you don’t have visa in your wallet. Right? If you see this sign in a window of a store you know that your visa card can be used it has value to this store owner. 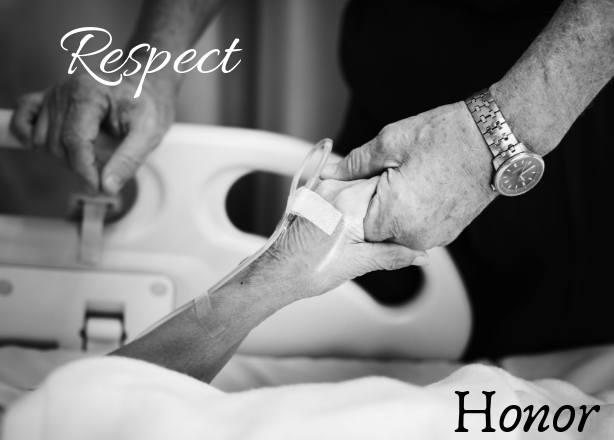 Respect is a lot like honor. Respect in the verb form to admire someone. Or we can say appreciate someone or something. I can recognize the value or even adore something or someone. Notice I have used several synonyms of the word respect in the previous sentences. And somehow thy don’t bring the same negative ideas to mind. Even If I use it in conjunction with the word Christian. You can adhere to, abide by, be awed by, be kind to, pay attention to, set store by, and you have just done respect. How about if someone has a have high opinion of you the have respect for you. The thing is you don’t have to be old fashioned or Christen to value the feelings that you get when you are respected or honored. And if you are a married woman or plan on being one than just think how nice it would be to receive this kind of treatment. Also think just how likely you would be to be the best you can be. If you got treated nicely even when you knew you really did not deserve it. Just some final thoughts don’t forget to make a comment below let me know what you think. And Click Here to request you copy of 9 tipes to honor your Husband if you have not already done so.